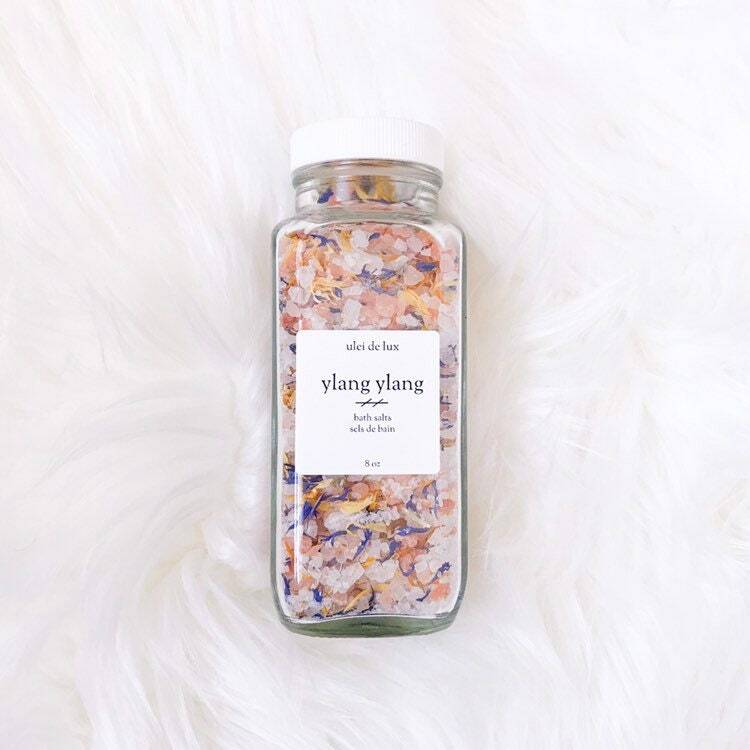 These feminine bath salts are delicately scented with Ylang Ylang. The epsom salts and sea salts will revive and soothe sore muscles. Ingredients: Sodium Chloride (Sea Salt, Himalayan Pink Salt), Magnesium Sulfate (Epsom Salt), Cananga Odorata (Ylang Ylang) Oil, Calendula officinalis (Calendula) flowers, Centaurea Cyanus (Cornflower) flowers.